Last Monday I had a quick trip into town to buy one or two things I needed but somehow ended up spending a lot of my Christmas money, which I was planning on keeping me going until May, seeing as I don’t have a job.. oh. Anyway, here is what I bought. Sorry for the awful lighting in the pictures, I still can’t edit them as I can’t get Photoshop until I get my new laptop.. in July!! 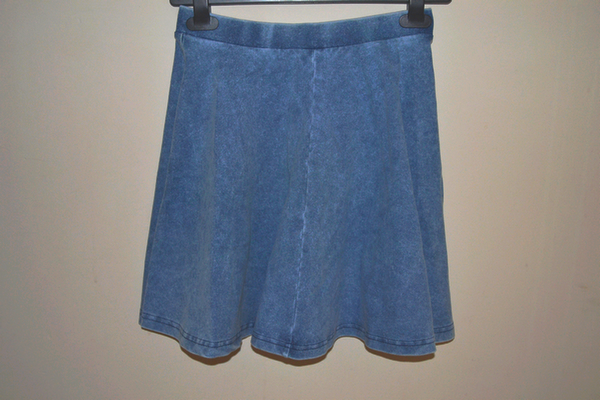 First up, this super cute skirt from Topshop, which was £20! I saw this around the Summer time and thought it was perfect, but never bought it seeing as Summer was practically over and I’d be in my knits soon. Seeing as Spring is approaching I thought I’d buy it quickly, before it sold out and I drowned in my own tears, like I usually do!! I thought it was a bargain at just £20, considering it’s topshop too. It’s a shame it doesn’t work with black tights but I’m really excited to start wearing it. 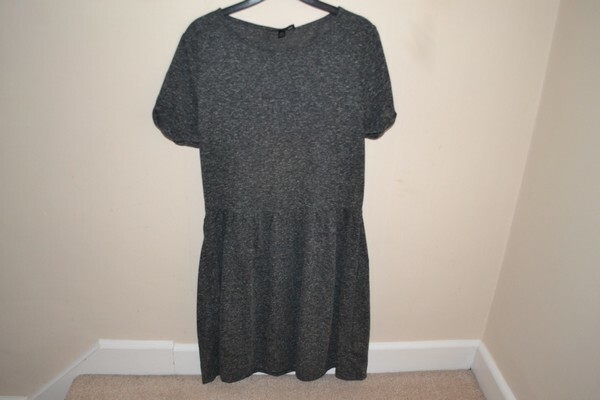 Next is this probably super overpriced T-Shirt dress, again from Topshop. It cost me £26 which I probably wouldn’t normally pay as it’s such a thin fabric and simple design but I had a voucher and I really wanted it! This will go great with some tights and nice big statement necklace! 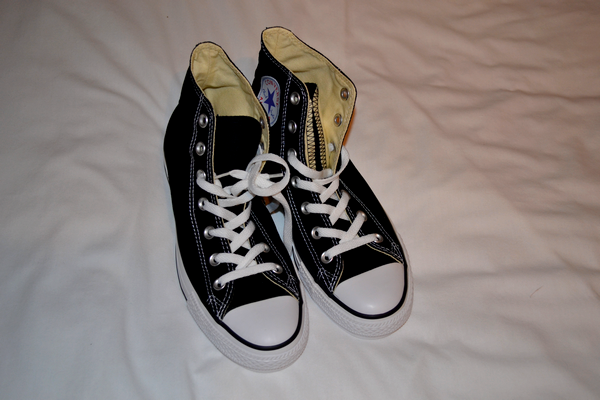 Converse!! These are probably my most loved purchase even though I still haven’t worn them out yet.. 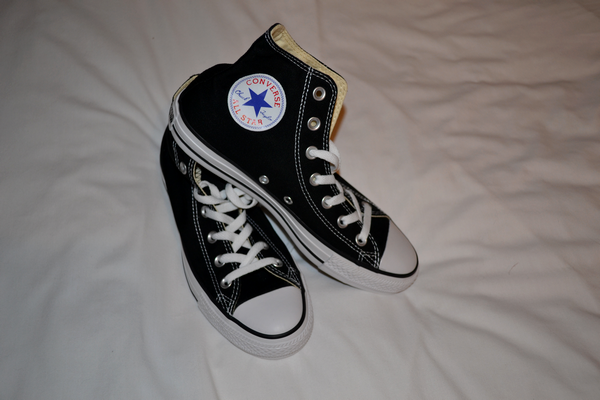 They were £45 from Office and I’m been wanting them for a while now. I actually asked Santa for them but clearly I hadn’t been nice enough in 2012!! I have a pair of pink converse but they’ve faded a lot and they don’t go with as many outfits as I’d like them to, whereas I figured black and white goes with pretty much anything. I’m hoping to wear these with my midi dress, I’m not sure if it’ll look great so I’ll have to experiment! How amazing is this? It’s a purse AND an iPhone case. 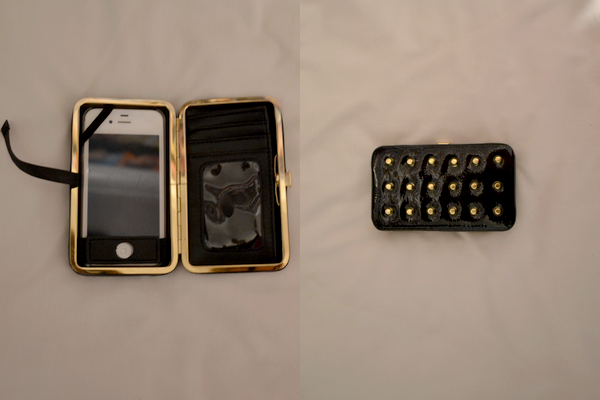 Safe to say it stole my heart the minute I saw it, purely because of the Studs. It cost £16 but I also spent some of my voucher on this taking it down to £12. I got some beautiful iPhone cases for Christmas and I always end up with them covered in scratches after I chuck them in my bag, so this purchase was an obvious one. I’m currently using it for school so I’m using the card section to chuck some emergency money, hair slides and hair bands in! It’s the perfect size and I am so happy I bought it! I also bought some rings, but I’ve already started using them so I’ll probably post them in an OOTD post! Sorry for the length of this post but I wanted to fit everything in!! Have you guys splurged on your Christmas money yet? What did you get?